Open Finland Challenge (previously known as Apps4Finland) is arranged now for the 7th consecutive year and is possibly the largest “digital openness innovation contest” in the Nordic region. 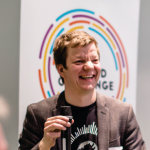 Open Finland Challenge produces and empowers innovations that enhance an open society, and supports individuals, collectives, organizations and companies that develop these innovations. 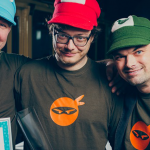 In the previous years, the competition has spawned hundreds of applications, visualizations and concepts, tens of companies, and has grown the Finnish Open Data community into a network of several thousand people. Open Finland Challenges seeks for solutions to real-world problems. The overarching themes in the competition are civic tech, smart cities and openness as a source of innovation. The competition consists of five challenge categories, in which over 25 000 eur of prizes are awarded. Each category features current issues or challenges from our partners – for inspiration – but all kinds of ideas are welcomed! The competition entries can be e.g. new services, applications, visualizations, digital content or service concepts. The evaluation of the competition entries highlights the user/customer perspective, the user experience, financial feasibility and sustainability and the creative use of resources. Do you have a great idea, but you’re missing a team? We can help you find team members to implement your idea! You can also submit an idea you might not have the time or resources to implement yourself. The overarching themes in the competition are civic tech, smart cities and openness as a source of innovation. The “fuel” of the competition is open data, open APIs, open licenses, and open working models. The resources page is a collection of open data, APIs, and other resources – to be used as inspiration. You can submit your competition entries at any time – up to November 9, 2015 – with the awards gala taking place on December 3, 2015. Submit a draft early – so you can get coaching, advice and feedback. During August-November, there are well over a dozen different developer events across Finland. Facilitation of the collaboration of innovators, developers and experts is a fundamental goal to us. Have a look at the Event calendar. In parallel, and as a part of the Open Finland Challenge, there are four regional competitions. Competition entries for these competitions take part in the national competition, too, by default! There are yet more opportunities through the Smart City App Hack and Slush Hacks Ultrahack. So, please make the most of these opportunities. 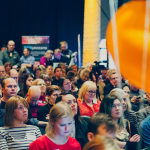 Ultrahack, part of Slush Hacks – As a warmup to Slush, the 48h Slush Hacks is the largest hackathon in Europe. It features prizes of over 20 000€ a chance to pitch to investors. Open Finland Challenge hosts the Smart city & civic tech track at Ultra Hack / Slush Hacks. Smart City App Hack – The Helsinki Smart City App Hack competition is an opportunity for participants to chase after fame and fortune with the world’s leading smart cities involved. Possibility for a 10 000€ extra prize. Open Finland Challenge is organized by Open Knowledge Finland ry, with Forum Virium Helsinki as its main organizing partner. In addition, there are over a dozen challenge and support partners, who enable the competition.